An evening of FUN & ENTERTAINMENT to benefit our SPECIAL animals! LIVE MUSIC with the FANTASTIC "Tony Denikos Band"
100% of proceeds directly benefit the animals of AAHA. Music For Mutts will be a BIG PARTY featuring outstanding live music, delicious food, raffles, auctions, lots of fun stuff and lots of fun people! And the coolest part is that will be helping our “best friends” who are on able to help themselves. 100% goes directly to animals in need! Ashland Cafe will be providing a great food/drink menu (sold separately), parking is free! Indoor and outdoor seating (weather permitting) are available. You can't beat this for a fun Sunday afternoon while helping a good cause! Adopt A Homeless Animal (AAHA) Rescue is a nonprofit organization dedicated to rescuing and assisting animals in crisis. AAHA actively combats animal cruelty in any form, with a particular commitment to the pit bull breed; working to educate people and raise awareness about this very special breed of dog. AAHA also serves as a resource and liaison for shelters, individuals, and the community at large by advocating for any animal in harms way, and assumes stewardship for their well-being while endeavoring to help each animal find a loving home. The 3rd AAHA Yard Sale! Come shop with us at AAHA's yard sale! The sale of all donated items benefits the care for our homeless animals. Consider making a donation at the yard sale. Make dinner a selfless act by joining us for a fundraiser to support Adopt a Homeless Animal. 50% of the proceeds from the cost of your meal during the fundraiser will be donated to Adopt a Homeless Animal Rescue! Visit Pikesville, MD Chipotle at 1809 Reisterstown Rd., Suite 134 on Wednesday, December 6 between 5 PM and 9 PM. Tell the cashier you’re supporting the cause. Get a group together and have a blast! Every penny raised goes to the care of AAHA's animals. Stoneleigh Lanes Bowling is a family-friendly, 16-lane venue offering duckpin bowling, a snack bar, local bands, and weekend karaoke. 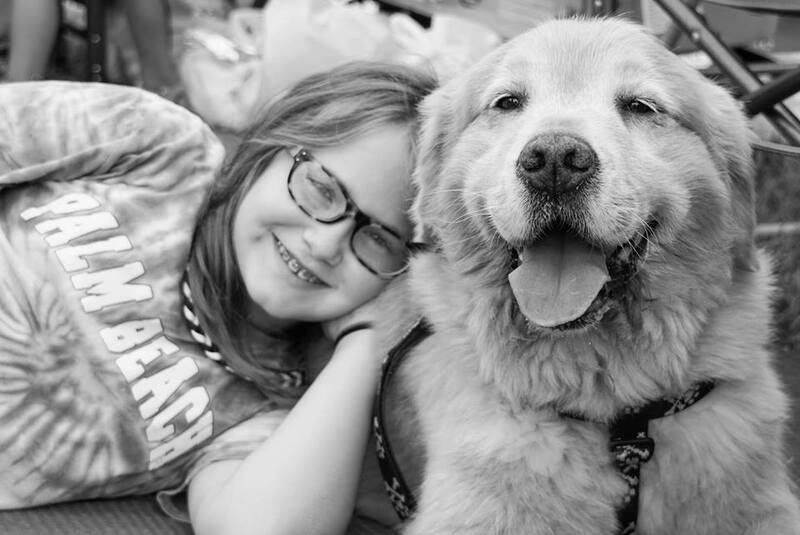 National Best Friends Society "Strut Your Mutt"
Our AAHA team is participating in Best Friends Animal Society’s "Strut Your Mutt" event to raise money for animals we care for. But we need your help, too! Please join us either by registering for our team or donating to one of our team members! VISIT: AAHA'S Best Friends Animal Society webpage. Your donation will help save the lives of our homeless pets – and it's tax deductible! Adopt a Homeless Animal Rescue will keep 100% of the money that’s raised after transaction fees. Enjoy the fun and meet your furever friend. Come thank your local FirstiResponders and meet some Adopt a Homeless Animal Rescue dogs looking for their new home! The fun starts at 9am with the Mutt Strutt! You can help by collecting pledges and walk 1 mile along the YCR Rail Trail with your friends or canine companion. You can setup your very own fundraising page and preregister to walk. All walkers receive a goody bag and event T-shirt AND you are eligible for great prizes for the most raised! From 10am to 4pm, enjoy the festivities with Dogs' Day in the Park! Hosted by Animal Rescue, Inc.
BarkAID Hair Cutting Fundraising Tour! National hair cutting tour sponsored by hair stylist, Patrick Lomantini. 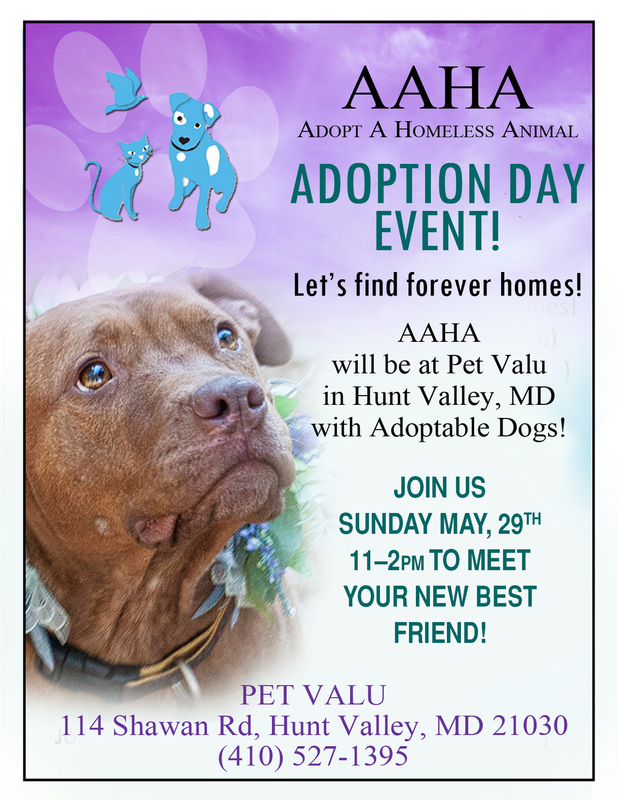 AAHA will be at Pet Valu in Perry Hall, MD with some fantastic adoptable dogs looking for their furever homes! The 2nd 'Extraordinary' AAHA Yard Sale! Your Spring Cleaning could mean $$ for homeless animals. If you have anything you would like to donate, or if you would like to help us during the sale, please email jodi@aaharescue.org. Consider making a donation for the yard sale. 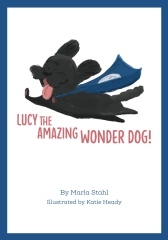 Children's book author Marla Stahl is "adopting" AAHA through the end of July by donating over 10% of her book proceeds to us! Marla has two books to share, Can Sugar Come Out to Play? and Lucy the Amazing Wonder Dog. A third book, Sugar Goes to the Dentist, will possibly (fingers crossed!) come out in April as well. Check out and purchase her two current books through www.woofbooks.com! The Second Official AAHA Online Auction! Adopt a Homeless Animal Rescue is holding it's 2nd online auction to benefit the animals! The auction begins March 31, 2017 and will run for 10 days! AAHA will be auctioning many generously donated items including gift certificates to stores, restaurants and services, gift-baskets, jewelry, and lots more! Now let’s have some fun! There are lots of GREAT items to bid on. Shop while you help the pups and kitties. It's a win, win! Come out and wag your tails with us! LIVE MUSIC by "The Real Geniuses!" Nottingham will donate 20% of your food & beverage purchases back to AAHA. Try the special PupTail drink creation! Admission includes 1 door-prize ticket. Please check the AAHA Facebook page for inclement weather announcements and reschedule dates. Bring your furry friend to have their picture taken with our "Raven Santa!" receive a goodie bag kindly donated by BARK! Please join us in helping raise money for our pups. Every penny goes to their care! Our holiday fundraiser lasts all season! Make your purchases through Stephanie Fabian's “Chloe & Isabel” boutique from now till December 31, 2016 and 30% of your purchase will go back to Adopt A Homeless Animal Rescue. Please be sure to select the "AAHA Holiday Fundraiser" at checkout. This is an online-only event. We provide everything needed for you to paint your pet! Register* and purchase tickets for the event *REGISTRATION IS NOW CLOSED. Email a picture of your pet ASAP to Jodi at jodi@aaharescue.org. Charm City Art projects your picture and hand draws a 16x20 canvas template ready for you to paint on the day of the event. Enjoy lunch before or during the event! Please print the event flyer and present it to your server to receive 15% off regular priced food and alcohol (excludes specials). Because this is a custom event cancellations need to be made 72 hours (3 days) in advance. Sorry, this is a Human-only event – Please leave your pet at home! $20 from each registration will benefit Adopt a Homeless Animal Rescue! Please print and present flyer to your server so you can receive 15% off regular priced food and alcohol (excludes specials). *Registration closed Friday November 11th, 2016. If you have registered and purchased tickets, don't forget to email your pet picture! TSC: Tractor Supply Co. 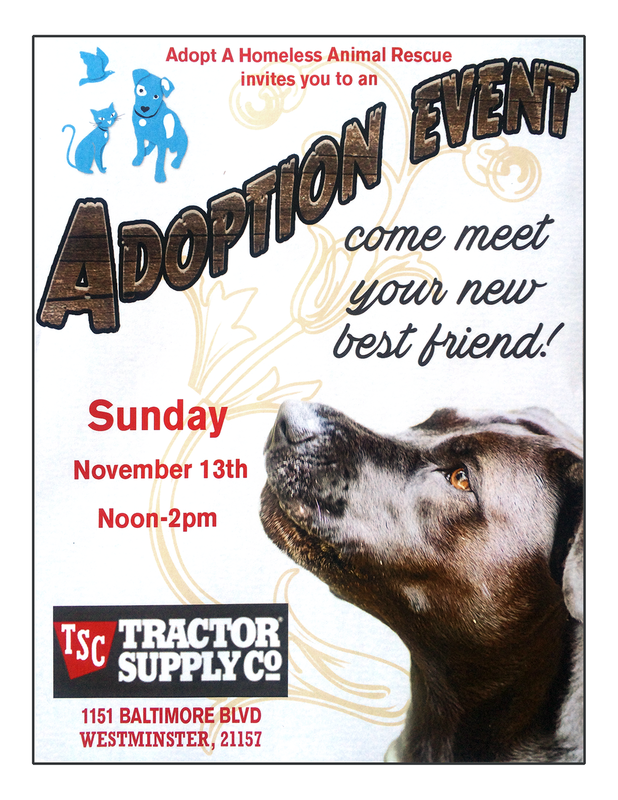 Adoption Event! MEET OUR GREAT DOGS FOR ADOPTION! This event has been canceled due to water damage. 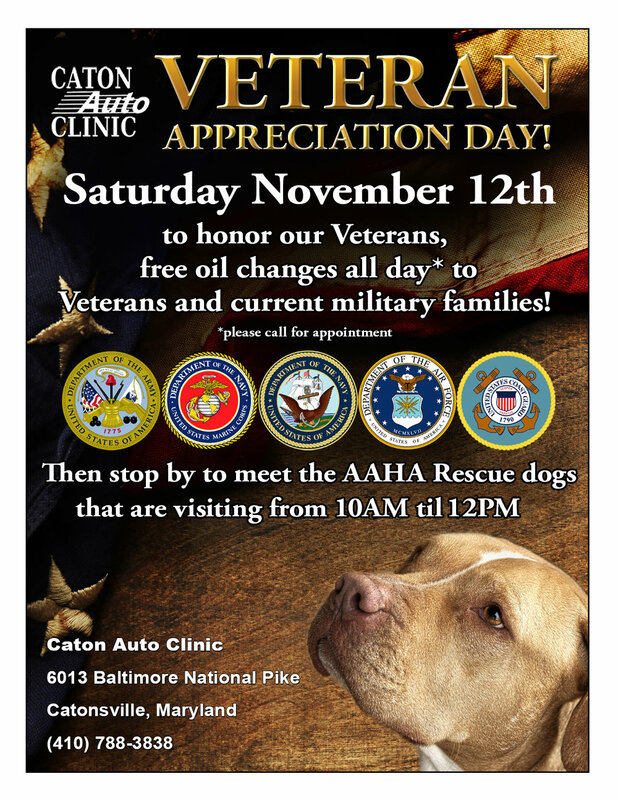 AAHA will be at Pet Valu in Hunt Valley, MD with some fantastic adoptable dogs looking for their furever homes! Join us for an evening of fun with duckpin bowling at the Parkville Lanes! All the proceeds go toward helping the dogs of AAHA Rescue. While the event is scheduled from 6pm-10pm, you are welcome to come out and start bowling as late as 8pm. We can scatter the start times for the bowling. Parkville lanes has a nice selection of beers, wines, and sodas to quench your thirst, as well as sandwiches and snacks, to satisfy your hunger. Join us at Woodhall Wine Cellars to benefit Adopt a Homeless Animal Rescue! Come out for an evening of fun to support the rescue dogs of AAHA! 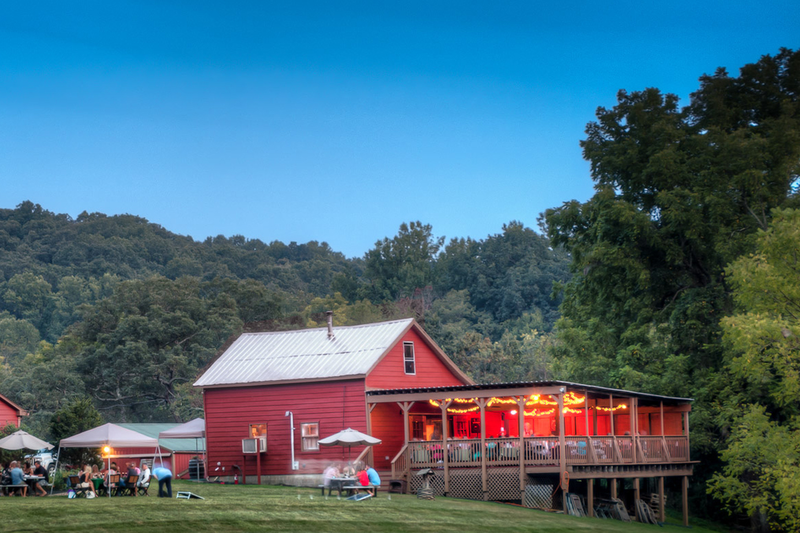 Enjoy locally hand-crafted wines with delicious local and fresh food selections! Listen to some of the best musical talents in our area perform music ranging from jazz to rock & roll! Fun raffles, auction, and door prizes too! 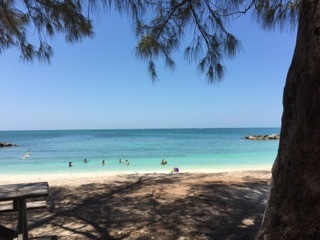 Don't forget to bring a blanket or chair! • Follow Music for Mutts event page on Facebook. • View the Woodhall Wine Cellars event. Tickets include unlimited food and drinks (7–9pm)! Please help us to plan our food and beverage needs by ordering your pre-payed, reduced-price tickets below. Your receipt will serve as your entrance ticket! Thanks so much for your interest in supporting this great event for the pups! Event profit goes directly to AAHA's animals in need. 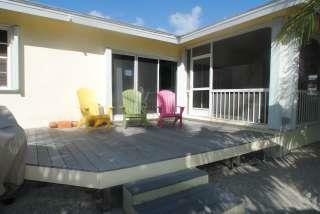 Bid for a week-long summer beach house in Cudjoe Key, Florida Keys! While the event is scheduled from 7pm-10pm, you are welcome to come out and start bowling as late as 8pm. We can scatter the start times for the bowling. Come shop with us at AAHA's very first yard sale! Please partner with us to make AAHA's First Online Auction a roaring success! Adopt a Homeless Animal Rescue is holding it's first online auction to benefit the animals! The auction begins April 1st, 2016 and will run for 10 days! 100% of the earnings* will go to AAHA to help homeless animals! AAHA will be auctioning many generously donated items including gift certificates to stores, restaurants and services, gift-baskets, jewelry, household appliances and lots more! 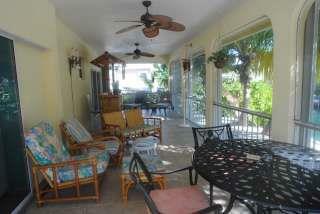 We will list daily items for up for bid. Go to our Auction Event Page (via Facebook) and sign up. It's that easy! Please share with your family and friends! The key to it's success is to have enough people sign up to be eligible to bid on items. Donate an item if you’re able! We are still looking for items that are worth $25.00 or more! Can be new or used- good condition! Can be handmade! Can be store bought! Animal items of any kind are very popular! Most items can be shipped. Those that cannot will be marked “Local item, for pick up only." If purchasing online, please bring your receipt to the event for admittance!